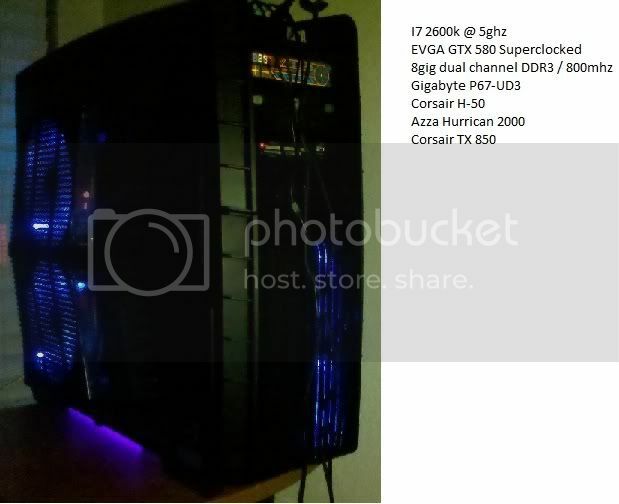 i want to upgrade the cooling on my gpu`s....i currently have 2 5770`s...i currently dont know how much i`m willing to spend, but should i get an aftermarket air cooling fan, water cool them, or upgrade to a 6000 series ati card? Great googily moogily. Depends on the case I guess. I'd opt for water-cooling, personally. Those 5770s are recent cards and you already set up SLI. i'd drop the money a new vid card. no amount of cooling/overclocking will beat a next gen card. The amount you would spend cooling those budget cards to get them OCd enough to almost compete with a real card.. you may as well just buy a real card. It's like putting a turbo in a Prius, man. I have one, and one is more than enough - even to play metro 2033 on max settings @ 1080p smoothly. Last edited by Forum Troll; 02-10-2011 at 01:32 PM. [QUOTE=Forum Troll;948918]The amount you would spend cooling those budget cards to get them OCd enough to almost compete with a real card.. you may as well just buy a real card. Myself and two others have done this. Granted it was a T25, but it was done, currently producing 6psi. Tempting. Typically I prefer to get a bit more "life" out of my hardware, however; I may just build another rig. Now to get the wifes approval.